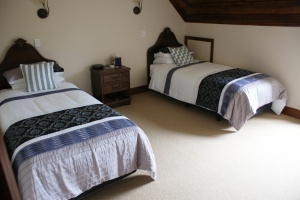 Oak Lodge offers five rooms all on the second floor with super king, twin, and queen beds. Four have en suites and one has a private bath and shower just across the hall. 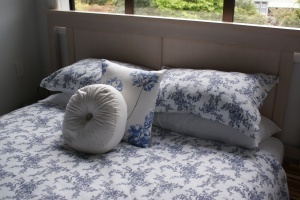 A fully self contained cottage is available for those wanting to be more independent. Oak Lodge is not suitable for children, and regrettably we can no longer accommodate children under the age of 12yrs. Your room rate includes breakfast. Enjoy a generous breakfast starting with a variety of cereals, fruit, yoghurt, toast, spreads, muffins, sweet or savoury, then if you so desire why not try some bacon with fresh eggs and tomato or mushrooms. Fruit juice, tea and coffee are also available. 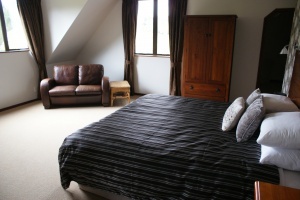 A spacious, elegant super king/twin room with en suite, leather chairs and TV. 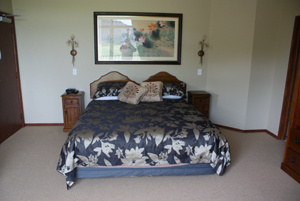 It has a large private balcony that overlooks the farm, hills and mountains. 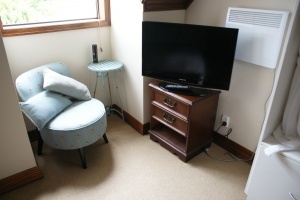 A large sunny room with super king/twin bed and a small adjoining room with two single beds. Has an en suite, leather sofa and TV. It overlooks the Oak trees, bush clad hills and the tennis court. 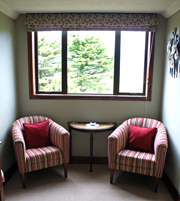 The Oak room is ideal for 3 or 4 singles or a couple with older children. Decorated in yesteryear, a lovely relaxing room. 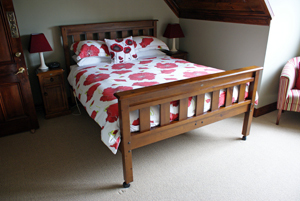 The Poppy room has a recycled timber queen bed, en suite, chub chairs and TV. It overlooks the farm. Queen room, decorated in white and blue, with an en suite and TV. 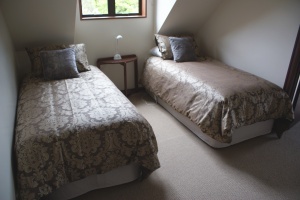 This room has a queen bed and single bed, ideal for a couple or just 2 singles travelling together who want the convenience of an en suite. This room is not suitable for three adults. The blue room overlooks the garden. 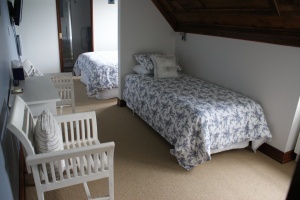 A twin room (long single beds) with a private bathroom just across the hall. This room is spacious yet cosy. 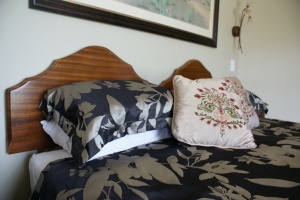 Oak Tree Cottage is a one bedroom self catering unit. 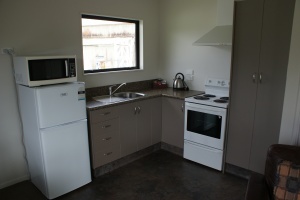 It has a super king bed (can be made into singles with prior notice), full kitchen and washing machine. Oak Tree Cottage has a large deck area for you to take advantage of the sun. A full cooked breakfast is available at Oak Lodge on request at an extra charge or the convenience of a continental breakfast in the cottage supplied the night before. 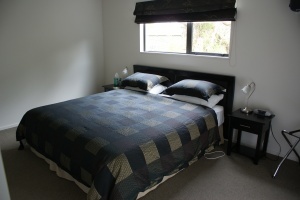 Work off your generous breakfast and make use of the tennis court, hot spa pool, sauna, and billiard room all available on site at this luxury Greymouth bed and breakfast.